Travel and tourism is a rapidly growing industry, especially in developing countries such as Thailand. In fact, travel and tourism now accounts for more than 9.5% of the world GDP and generates $7 trillion a year (WTTC, 2014). Tourism is a trickle down economy, meaning it affects many other industries that tourists contribute to when they visit Thailand. Visitors will come to see conservation sights or ride an elephant, but the indirect dollar revenue is where the economy prospers. Visitors spread their money out across the economy purchasing food, lodging, transportation, and vendor goods in marketplaces. An economy that relies on tourism for its growth is highly aware of the services they need to provide to keep the tourists coming. A popular industry to maintain is ecotourism. Ecotourism is defined as “responsible travel to natural areas that conserves the environment, sustains the well-being of the local people, and involves interpretation and education” (What is Ecotourism, n.d.). Ecotourism still provides traditional economic benefits to local communities, but aims to do so in a much more environmentally-conscious manner. This means that tourists are able to visit pristine, wild areas while leaving as little impact to the natural environment and communities as possible. Ecotourism places significant emphasis on conservation efforts and creating local employment opportunities. With more than 15 million people visiting Thailand every year, some areas have begun taking precautionary measures to protect their lands from the environmental and cultural damage that results from mass tourism. One such place is Koh Phra Thong, a largely undeveloped island off the southern coast of Thailand. Resorts here build their housing spaced apart, which are built by local craftsmen using sustainable hardwood resources (Sustainable Tourism – Thailand, n.d.). Since Thailand lies very close to the equator, it is a hot and humid climate being home to thousands of species. Many different human activities affect the biodiversity of plants and animals homes including (but not limited to): agricultural activity, egg collecting, bird hunting, mine and dam construction, and poaching (Office of Natural Resources and Environmental Policy and Planning, 2009). Vertebrates are critically endangered, and plants are disappearing as well. As plants and animals start to dissipate due to human intervention, this puts a strain on not only the environment but the economy as well. Another issue with tourism in Thailand (and numerous other tourist destinations around the world) is the loss of cultural diversity. Corporate branding seems to make its way into even the most remote parts of the world, so long as there is a sufficient clientele to make a profit from. As the number of visitors grow so do the hotels, restaurants, and various other businesses that are meant to accommodate them. According to the United Nations Educational, Scientific, and Cultural Organization (UNESCO), globalization “promotes the integration of societies and has provided millions of people with new opportunities, it may also bring with it a loss of uniqueness of local culture, which in turn can lead to loss of identity, exclusion and even conflict” (Globalization and Culture, n.d.). 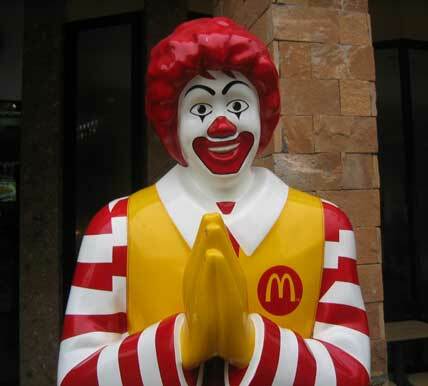 Companies such as McDonald’s even design their branding to integrate with and reflect local cultural norms. While we are guests in Thailand, keep in mind how our very presence can impact both its culture and environment. “Office of Natural Resources and Environmental Policy and Planning.” Thailand: National Report on the Implementation of the Convention on Biological Diversity. Ministry of Natural Resources and Environment, Bangkok, Thailand. 2009. Accessed March 11, 2015.